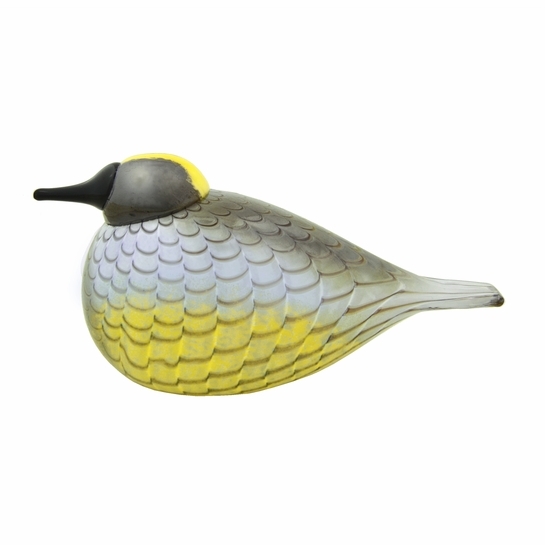 More about iittala Toikka CMOG Yellow Rumped Warbler Limited edition and numbered, the iittala Toikka CMOG Yellow Rumped Warbler is a must for any Toikka collector's flock. It showcases Oiva Toikka's ability to beautifully interpret the colors, patterns, and personality of real-life species. 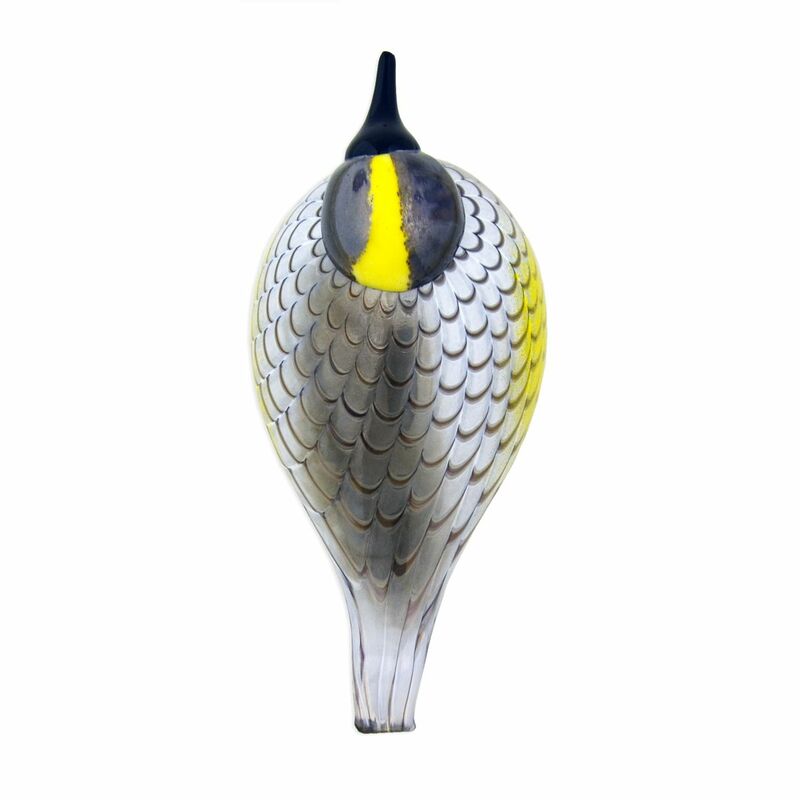 Like its natural muse, the glass bird has signature yellow markings on its head and wings. The rest is a silvery grey with hints of sky blue. The feathers seem to be windswept as they reach the tail, showcasing the speed of flight that this petite woodland bird can achieve. The head is dark and reflective and complements its sleek, black beak. Each limited edition iittala Corning Museum of Glass Toikka Yellow Rumped Warbler has been specially engraved O. Toikka IITTALA CMOG and numbered x/300 on its base to ensure authenticity and remind you of its special origin.